"Is your Child still having problem understanding the mathematical concepts?" "Is your Child still struggling with the subject despite having a math tutor and going for tuition classes?" "Not having improvement in his or her grade despite putting in much effort?" As a former school mathematics teacher with 20 years of experience I understand your stress as well as your frustration. Having taught over hundreds of students myself, I am able to relate and understand the struggle face by student in the learning of mathematics. I have been a mathematics educator for about 20 years. I hold a 2nd Upper Honours Degree in Mathematics. Throughout the years, I had taught in various local school as well as International School (I am a MOE as well as IBDP trained teacher). To date, I have personally coached mathematics to a thousand of students across various levels (from Sec 1 to JC 2). My student base consists of a good mix of students from Choa Chu Kang area such as Bukit Panjang Govt High, Kranji Secondary, Choa Chu Kang Secondary and Pioneer JC as well as from top Institution such as HCI, NJC and ACJC. Additional Mathematics in the ‘O’ level examination consists of 2 papers. Paper 1 is a 2 hours paper with 13 questions while Paper 2 is a 2.5 hours paper with 11 questions. Algebra is very important in the learning of Additional mathematics. algebraic manipulation or solving algebraic equation. It will be ideal if one can set aside at least one hour every day to learn mathematics. must know the topic on Indices well enough. reading the textbook like a novel. The key to excel in mathematics is through regular practice. will be less prone to making careless mistakes. H2 Mathematics paper in the A-level exam consists of two 3-hour papers. Paper 1 is 100% pure math while paper 2 consists of 40% pure math and 60% statistics. JC H2 Math has the highest jump in difficulty level from secondary Additional math. As such, it is not surprising to see some student who ace in Additional math can end up struggling badly in JC H2 Math. Hence, there are a few tips one should definitely follow in order to ace the subject. In secondary Additional math, most of the questions asked are more or less similar. Hence with enough practice one should be able to overcome it. However, in H2 math, the questions that are being ask are of more variety and no longer to be so straight forward, so one must have a very clear understanding of the concept behind in order to solve them. ​to achieve an 'A' in the A level exam. their knowledge and this is achieve by practicing more questions than just doing the tutorials. Richard Math Academy is a home base mathematics learning program. 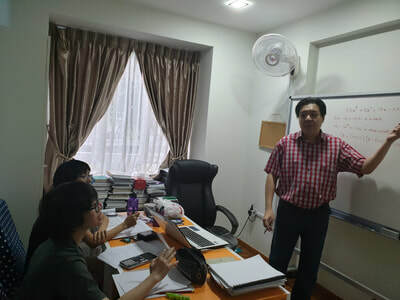 It was started by Mr Richard in 2011 and has since been providing quality maths tuition classes to students from Secondary 1 to Junior College 2. To date about 150 students has joined the program and has benefited greatly. The most common fear that student face in mathematics is the complicated concepts behind some of the topics, especially in the H2 Mathematics course. To eliminate the fear, topics will be break down into smaller components and facilitate with examples to enhance students understanding of the concept. Students will then be ask to solve some questions during the class based on the concept taught to demonstrate their understanding. At the end of each lesson, homework will be given. The questions in the homework will largely be based on examination questions across various schools and will include questions from basic level to the advance level. 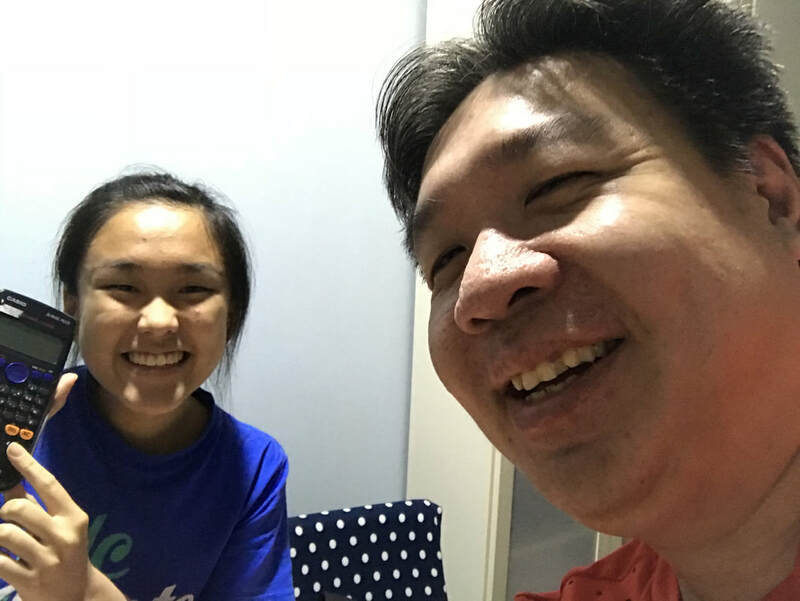 Mr Richard is a very good math tutor. He always clarifies our doubts when we are unsure of any concepts. He will always ensures that we have a good grasp of the concepts and truly understand the topics. He thorughly goes through the questions we not sure of and explain our mistakes to us while teaching us the right techniques and method to answer the questions. 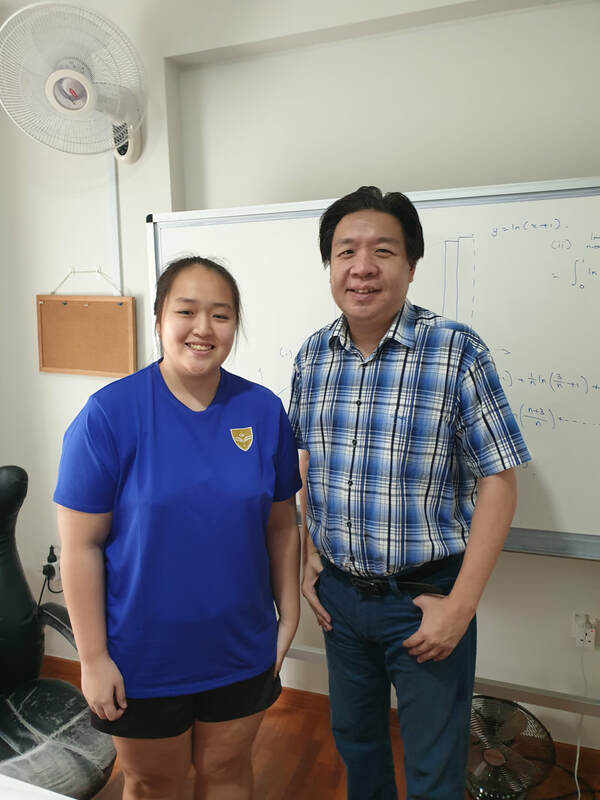 I am really grateful to have gone to Mr Richard for help in my Math. I have joined Mr Richard class since Secondary 3 all the way till Junior College 2. I really appreciate the effort that he put in to coach me and how he takes into consideration my learning needs. I was struggling to pass math before i first joined him in secondary 3 but through him i managed to obtained an A2 for my A. Math. In Junior college, I managed to stay afloat with my math grades and obtained an A for my A levels with his help. Without Mr Richard help, i wouldn't have gotten such a good grasp in Math and obtained the grades I have today. I started my H2 math journey badly as I had a weak foundation in my Junior College 1. After I was tutored by Mr Richard, he provided me with useful notes and cleared many of my misconceptions. And through diligent practice under Mr Richard guidance, I was able to improve from a U in the prelims to a B in the 'A' levels. Thank you Mr Richard! 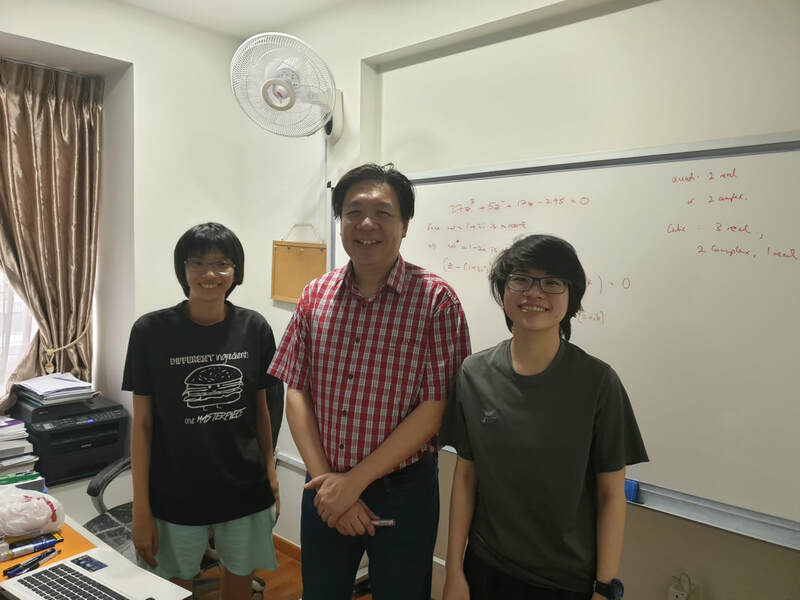 Mr Oh is a friendly and approachable teacher. He would patiently explain the concept that were still unclear to me. His clear step by step presentation helped me greatly as was his willingness to explain any parts that I still do not understand. I have benefited a lot from his lesson and have seen my grades improved from 'S' to 'A' over the past one year. 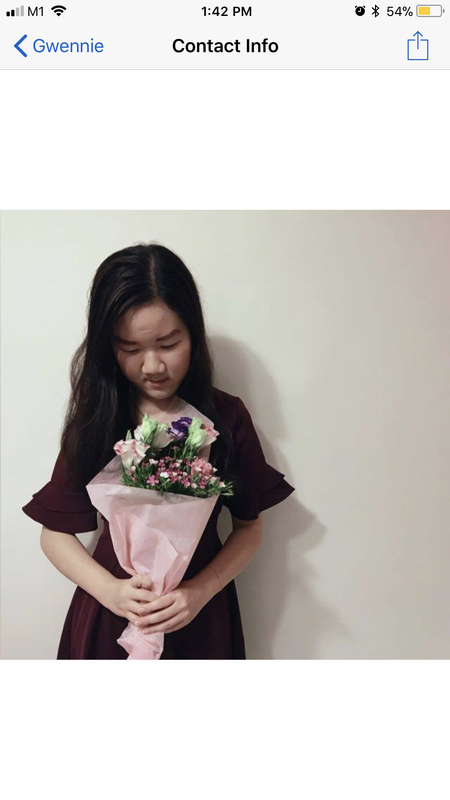 Thank you Mr Oh! Mr Richard has helped me improve my math grade by 4 grades in just a short span of 3 months. He is a very patient teacher and explains mathematical concepts in a clear and precise manner. 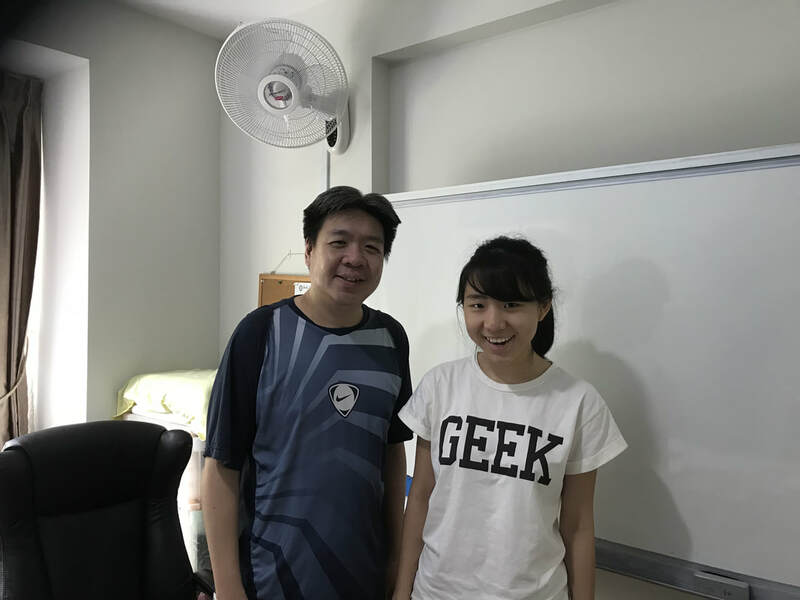 Besides helping me solve difficult math problems, Mr Richard also helped me to find out the root problem that I face. Hence, I was able to find out the reason why I found math difficult and it proved beneficial to me. I am grateful for having found him as a tutor in the last few stressful months of JC2 and his teaching has definitely benefitted me. Mr Richard has a great teaching style in which he used and tested students on questions from a variety of sources, to enable them to have an idea what types of questions that could be set from each topic in the syllabus. 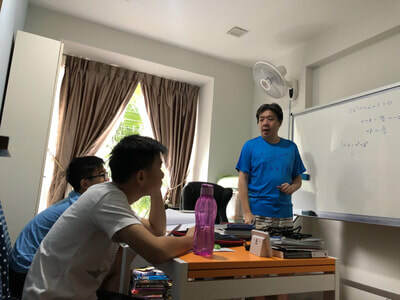 I also find that the pace of the lesson is just right for me as Mr Richard will try his best to tailor each lesson according to the student's needs. Under his tutelage, I grow to enjoy the subject and have also seen a steady and marked improvement in my grade. Having been under Mr Oh's guidance through the 'O' and 'A' level exams, my results has been steadily improving. Mr Oh's explanation are easy to comprehend and digest, conceptualizing difficult topics for effective understanding in insecure chapters. This has allowed me to quickly relearn weak segments of the syllabus, and clarify my understandings which culminated in an A for my 'A' level examination; a tremendous improvement from my U grade before I joined Mr Oh class. All lesson will be conducted by Mr Richard who has closed to 20 years of teaching experience with a 1st Class Honour in Mathematics. 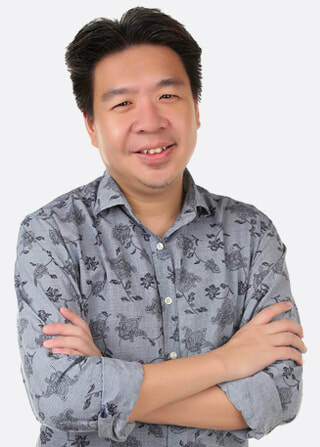 He had also taught in renowned school such as Hwa Chong Institution. With his tremendous experience, he is well aware of any changes in the MOE syllabus at his fingertips. 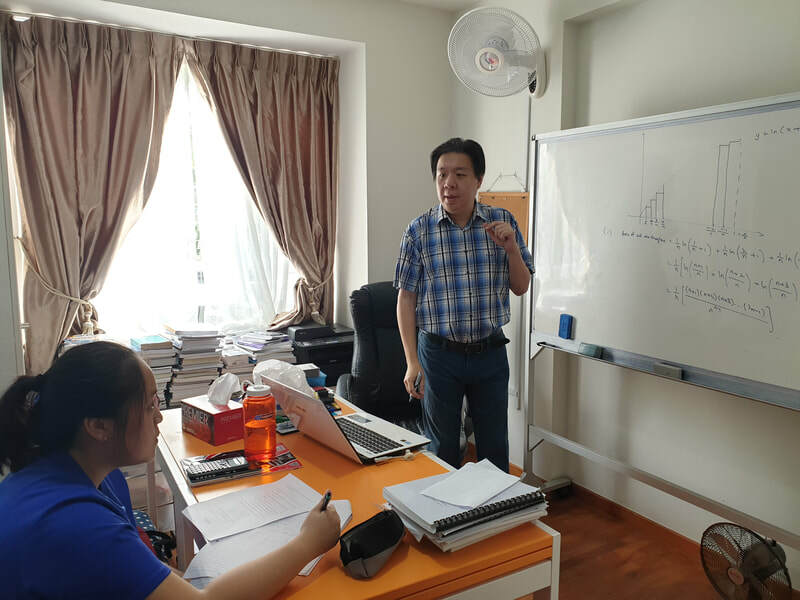 Ever since becoming a full time tutor in 2010, Mr Richard has taught few hundreds of students and almost 100% of the students has seen at least a 2 grade improvement in their results. 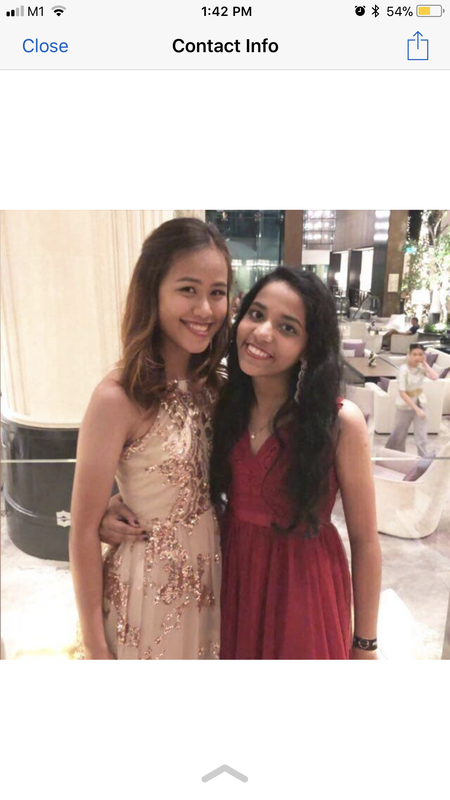 Some of the students even have their grades jump from F9 to A1 ('O' level) or U to A ('A' level). With a small class size, students will get the maximum attention from the tutor. In this way the tutor is able to easily identify each of the student weaknesses thereby allowing the tutor to address the problem of each student appropriately and effectively. All these cannot be done effectively when the class size are big. Learning plan are customized based on the student ability, learning styles and his/her math foundation. For example, students with a stronger mathematical ability will be expose to more advance questions to further enhance their knowledge while those with a weaker foundation will spend a bit more time building their basic knowledge and honing their skills before moving on to the intermediate level. All the worksheets are updated yearly to include the latest type of examination questions so that students are made aware of and expose to the numerous different variety of questions. Latest examination papers will also be given during the revision period. Parents, are you ready to take the first step to improve your child's math result? We are so confident that we will give you the first lesson for free. Our 2019 tuition classes have already open for registration.